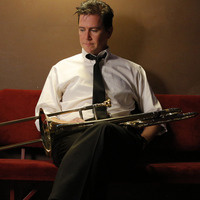 Timothy Higgins was appointed to the position of Principal Trombone of the San Francisco Symphony by Michael Tilson Thomas in 2008. He was previously the acting Second Trombonist with the National Symphony Orchestra in Washington, DC. Mr. Higgins, a Houston native, has a Bachelor’s degree in Music Performance from Northwestern University and has performed with the Chicago Symphony, New York Philharmonic, Milwaukee Symphony, Virginia Symphony, Civic Orchestra of Chicago, Music of the Baroque, Aspen Music Festival, Grand Teton Music Festival, Sun Valley Summer Symphony, Washington National Opera, and Baltimore Symphony. His principal teachers have been Michael Mulcahy (Chicago Symphony), Michael Warny (Houston Grand Opera), and Royce Landon (Des Moines, Iowa). He has participated in music festivals with the Roundtop Music Festival, the National Repertory Orchestra, and the Tanglewood Music Center. As a teacher, Timothy been a faculty member of the Pokorny Seminar since 2012, and is currently on faculty at the San Francisco Conservatory of Music and Northwestern University. He has also led masterclasses in Japan, China, Canada and the United States, including classes at the Royal Conservatory in Toronto, the New World Symphony, Vanderbilt University, the Manhattan School of Music, and the Juilliard School of Music.